A man from the Dundrum area has died following an assault in Ballynahich in the early hours of Sunday morning. David Mills (47) suffered from head injuries around 12.45am and was rushed to hospital but later died. Police have now set up a murder investigation and are appealing for witnesses to the incident in Dromore Street in Ballynahinch. A 30-year old man has subsequently been arrested on suspicion of murder and is helping police with their inquiries. To contact the police, phone the Downpatrick detectives at 0845 56008000 or talk to the independent confidential charity Crimestoppers number on 0800 555111. SDLP South Down MP Margaret Ritchie has echoed PSNI calls for information following the murder. 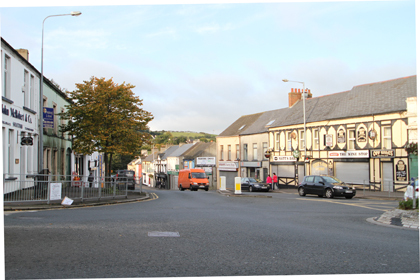 Ms Ritchie said: “What I first heard as news of a sickening assault in Ballynahinch has now taken the most sinister turn with the death of the man who was attacked. “This is an incident totally out of keeping with the normally peaceful nature of the town and raises the question of how much community policing is required at nights, particularly over the weekend. Down District SDLP Councillor Patsy Toman added: “ I know David Mills’ family. This is a tragedy and a terrible day for the whole community. Down News understands that the man being currently questioned by police had nonchalantly gone into a pizza shop immediately after the incident. Ballynahinch Sinn Féin Councillor Mickey Coogan said: “This is an absolute tragedy. David Mills was a man who contributed to his community. He has been a manager at Drumaness Mills and was well known in sporting circles in the area. “He went into Ballynahinch for a night out and went into Dromore Street to get some food at the end of the night. Who would have thought that this innocent man would have lost his life. His family are now left to grieve and must be in shock. My heart goes out to them and I would like to convey my sympathy and condolances to his family. I hope the whole community now rallies round in support of Mr Mill’s family in this difficult hour. Down District Alliance Councillor Patrick Clarke described David Mills as a larger than life character who was well liked in the local community. He added: “I was truly shocked to learn on Sunday of the tragic death of David Mills from Seaforde who was an outstanding sportsman and painter by profession. It is all the more harder to take this in in when you knew the person.